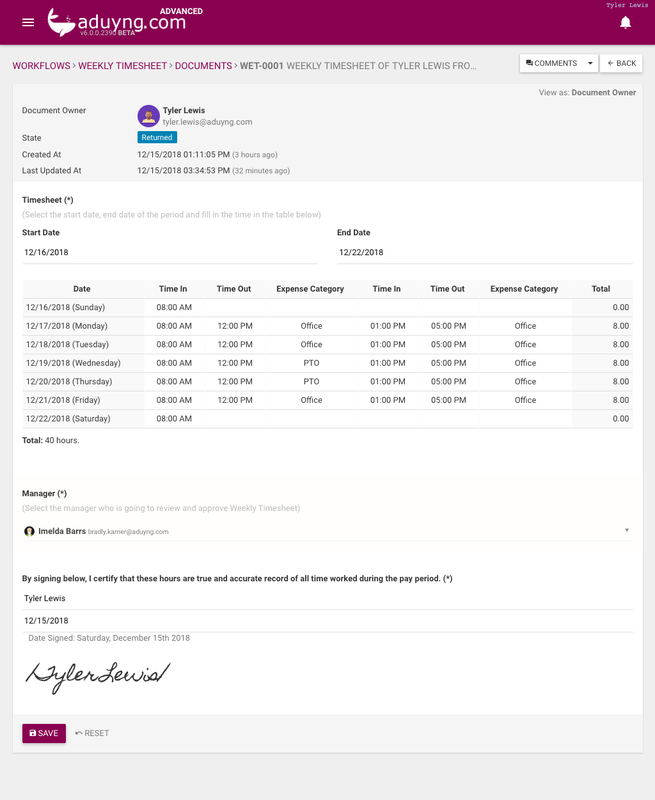 Timesheet workflow allows employee to submit their periodic time report to their manager for approval. The form include a time table for the employee to fill in their records. The employee then selects their manager for approval. Before submitting, the employee needs to sign the timesheet to certify. 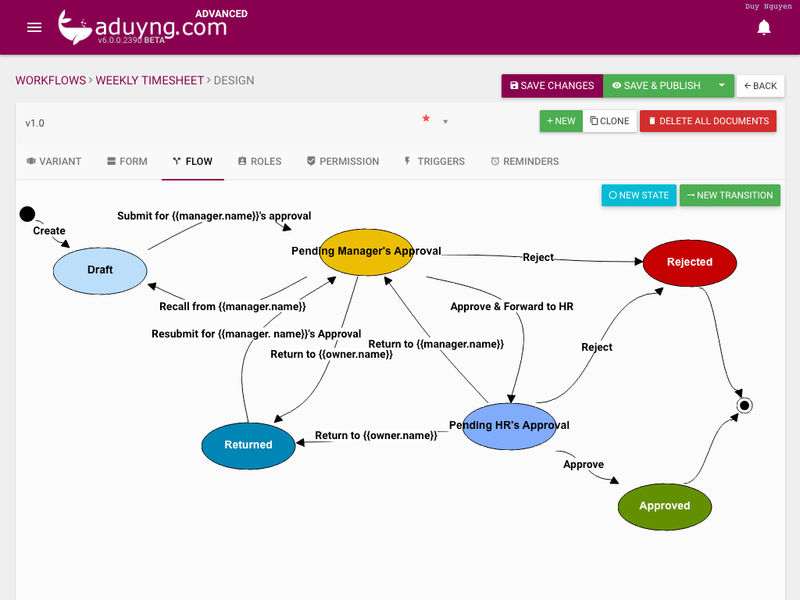 The workflow was configured with Unique Document Check to ensure that there is only one timesheet per period submitted. Each route in the flow makes used of placeholders to make the name of the action more user-friendly. There are many triggers set up to ensure the smooth communication from start to finish.